Drool-Worthy Ice Creams Galore: Havmor's Customized Range Blew us Away! What if we tell you that you can actually customize your ice cream bar (we’re talking copious masses of chocolate sauce and more here)? Yes, such a place does exist! Kudos to the hidden gem, Havmor ice cream parlour. 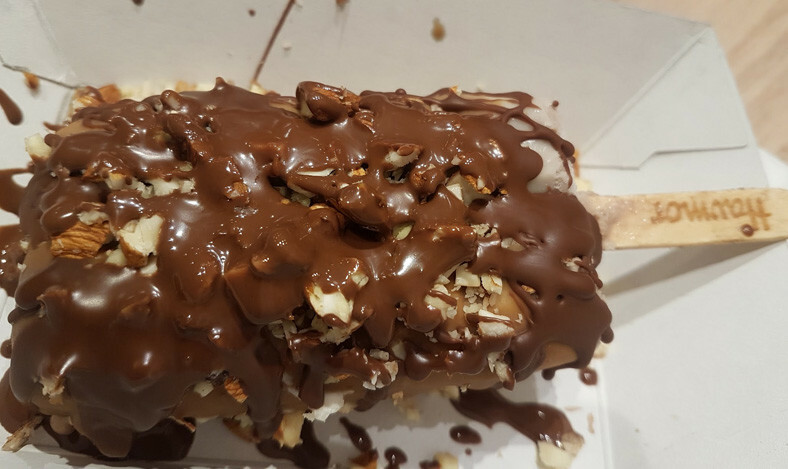 Offering their own ice cream bars, Cornettos and more, they recently came up with some truly blockbuster ice creams that are made right in front your eyes and exactly according to your whims and fancies! Tempted by the very idea of it, we scampered over to this sweet heaven to indulge all our hankerings. Read on to know exactly what happened! The idea of getting our ice cream made right in front us got us all excited, and so we decided to try out their Chocolate Bar Blockbuster! The Bar looked exactly like a chocolate bar, with an ice cream stick attached to it. We got our bar dipped in dark chocolate (omg! ), sprinkled with chunks of crushed almonds and drizzled with milk chocolate. The very sight of it made us drool. One bite was all it took to make us crave more and more. Next up was another blockbuster; the heart shaped Vanilla Blockbuster. 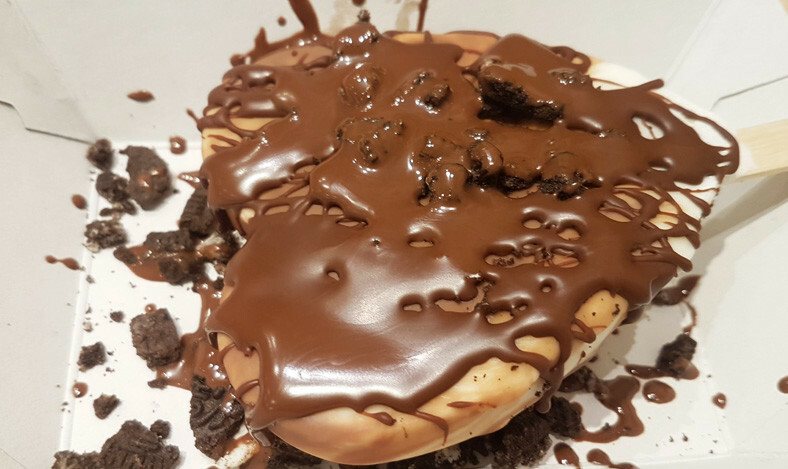 We experimented this one with milk chocolate dip, crushed Oreos and dark chocolate drizzle. It looked super tempting and decadent, and we devoured it all in a jiffy. The concoction of the vanilla bar and chocolate drizzle was absolutely heavenly - you seriously gotta go try this! 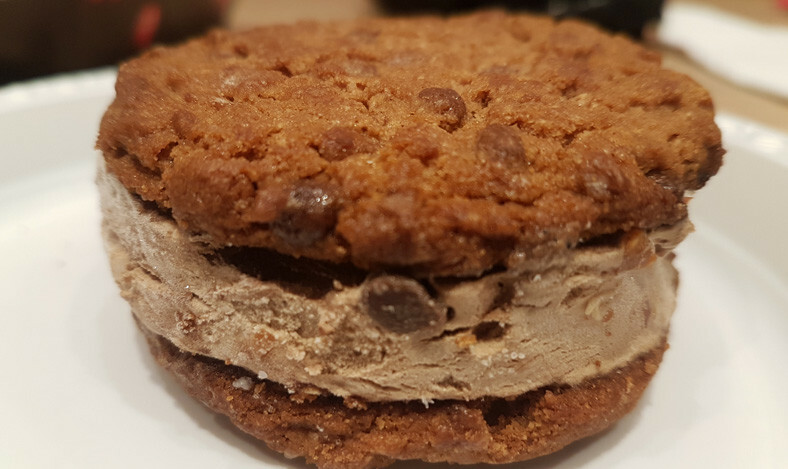 So ordinarily, we’re not big fans of ice cream sandwiches, but a chocolate cookie ice cream sandwich awakened avid curiosity in us and so we had to try it! The cookies were delicious, but weren’t as crispy as they usually are. The chocolate chip ice cream filling between the cookies was outstanding! Basically, it wasn’t some run-off-the-mill ice cream sandwich, this is one of a kind, peeps. Having gorged away on three of their exceptional offerings, this haunt simply won our hearts. We must say, Havmor certainly has answers to all your sweet cravings. So head on over right now and treat your yourself - you know you want to!